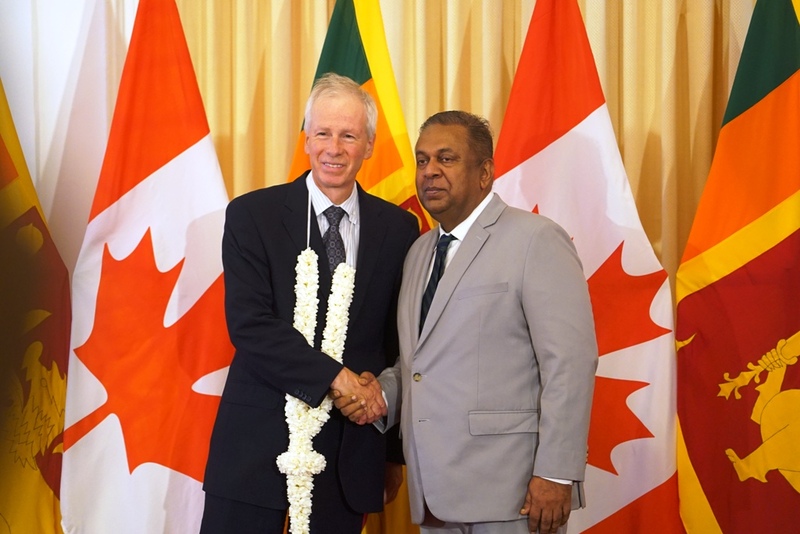 The Minister of Foreign Affairs of Canada, Stéphane Dion, paid an official visit to Sri Lanka on 28 and 29 July. This official visit of a Foreign Minister of Canada to Sri Lanka took place after 13 years. Minister Dion called on President Maithripala Sirisena, Prime Minister Ranil Wickremesinghe and Leader of Opposition R. Sampanthan during his visit; and met with a group of Parliamentarians of the Steering Committee on Constitutional Reform. Following discussions with his counterpart, the Minister of Foreign Affairs of Sri Lanka, Mangala Samaraweera, Minister Dion announced two important projects, namely, the National Languages Equality Advancement Project amounting to CAD $ 11.2 million aimed at improving the delivery of government services in both official languages, Sinhala and Tamil; and the Entrepreneur Financial Centre Project amounting to CAD $ 8.8 million which aims to establish an entrepreneur financial centre with Dévelopment International Desjardins’ and SANASA Development Bank PLC in Sri Lanka, to help stimulate private sector development and support job creation by improving livelihoods of entrepreneurs who operate micro, small and medium-sized enterprises. Minister Dion, together with the Minister of National Co-existence, Dialogue and Official Languages Mano Ganesan, witnessed the signing of the Memorandum of Understanding for the implementation of the National Languages Equality Advancement Project by the High Commissioner for Canada to Sri Lanka Shelley Whiting and the Secretary to the Ministry in-charge on 28 July. Discussions with the Minister of Foreign Affairs Mangala Samaraweera covered all areas of mutual interest including economic development, trade, investment, reconciliation, the constitutional reform process, multilateral engagement, and people-to-people ties, as well as steps being taken by Sri Lanka for the implementation of the UN Human Rights Council Resolution 30/1 of 1 October 2015. On 28 July, the Foreign Minister of Canada visited Jaffna, where he met with civil society representatives and called on the Governor and Chief Minister of the Northern Province. During his visit to the Jaffna Library, Minister Dion gifted books in English and French that had won the Governor General’s Award in 2015. The Minister also visited Canada-supported development projects in Jaffna including the Jaffna Hospitality Training Centre and an Agro Economic Development Project (ADP) funded by Canada with UNDP and FAO support, relating to agro economic cooperatives in the dairy and agriculture industries. It is both an honour and enormous pleasure for me to welcome Honourable Stéphan Dion, the Minister of Foreign Affairs of Canada, to Sri Lanka. Honourable Stéphan Dion’s visit is a landmark in our bilateral relations with Canada. This official visit of a Foreign Minister from Canada takes place after 13 long years. Though geographically distant, Canada and Sri Lanka have shared a remarkable relationship over the years, and it was somewhat sad to watch our relations drift for awhile. Today, with this visit, we have affirmed our commitment to build on our multifaceted, bilateral relationship and forge stronger links between our peoples. I am sure many of you would have heard of Leonard Birchall, the young pilot in the Royal Canadian Air Force who served in Ceylon, and who was dubbed by Sir Winston Churchill as the ‘saviour of Ceylon’ during the 2nd World War. There exists a monument to this day in Koggala, to commemorate the ‘Canadian contribution to the defence of Ceylon’ at the time. Dr. Mary Irwin Rutnam, who was a pioneer in the Sri Lanka feminist movement, and Professor Evan Alan Hardy who set up the Hardy Advanced Technology Institute in Ampara, are etched in the memory of Sri Lankans across generations. We have benefitted from Canada’s generosity through the years. From assistance for the Airport at Katunayake, to the gift of train locomotives to the Sri Lankan Railways; assistance for the Maduru Oya dam, and support in adversity following the Tsunami and Conflict – Canada has always stood by us. When conflict raged, Canada became home to many of our brothers and sisters who sought refuge. Today, following the Presidential and Parliamentary Elections here last year, when Sri Lankans cast their votes to strengthen democracy, good governance, and the rule of law; for reconciliation, a durable peace, and an end to impunity; we in Sri Lanka are re-engaging with the world, renewing friendships, forging new partnerships, and seeking what is best in the world for all our people. We are laying the foundation for a new Sri Lanka, on the pillars of democracy, reconciliation and economic development. This will allow our people to reap the fruits of increased economic growth and prosperity, which had been eluding us since Independence. We look to friends like Canada to assist us in enhancing our local capacity, and through technical expertise, greater trade and investment. During our meeting today, we discussed a range of issues of bilateral importance including development cooperation; reconciliation efforts; economic cooperation; governance; and people-to-people ties. We also discussed the importance of providing an economic peace dividend for the people of Sri Lanka and the interconnected nature of reconciliation and development. I also informed Minister Dion that we are keen to engage with the Sri Lankan community in Canada, and invite them to visit the country that they left, or was compelled to leave, long ago. I explained that we are keen that they also explore meaningful ways of contributing to Sri Lanka’s reconciliation and development efforts. 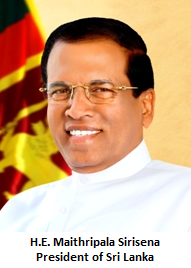 Earlier today, Foreign Minister Dion called on President Maithripala Sirisena and Prime Minister Ranil Wickremesinghe. I believe that the interactions he had provided an invaluable opportunity to discuss ways and means of enhancing our close and friendly relations. A little later today, Minister Dion will meet my Cabinet colleague Honourable Mano Ganesan and sign a Memorandum of Understanding on the ‘National Languages Equality Advancement Project’ that will contribute to improving the delivery of government services in both official languages – Tamil and Sinhala. Tomorrow, Minister Dion will be visiting Jaffna where he will meet the Governor and the Chief Minister of the Northern Province, and civil society representatives, and also visit Canadian funded projects. I would like to take this opportunity to thank High Commissioner Shelley Whiting and her team for the remarkable work that they do here in Sri Lanka, to make our ties stronger. Foreign Minister Dion, I wish you and your delegation a pleasant stay in Sri Lanka, and I hope that you will visit us again soon and would also make time to experience some of the natural beauty and historic sites of Sri Lanka. I’m touched by the warmth and smiles that have greeted the Canadian delegation since our arrival in Sri Lanka last night. Minister Samaraweera, thank you very much for your invitation and the exceptional hospitality we’ve been shown. I was privileged to meet with both President [Maithripala] Sirisena and Prime Minister [Ranil] Wickremesinghe this morning. As has already been conveyed by Prime Minister [Justin] Trudeau, Canada stands ready to support the Sri Lankan government to advance peace, accountability, reconciliation and prosperity for all the peoples of Sri Lanka. My visit this week is an opportunity for me to convey in person Canada’s commitment to helping Sri Lanka to further strengthen its democracy. For this, I am pleased to resume with you a constructive political dialogue at the foreign affairs minister level. Minister Samaraweera and I discussed today how Canada and Sri Lanka may work together, shoulder to shoulder, to advance peace and security objectives in South Asia. Canada welcomes the positive engagement by Sri Lanka with the Human Rights Council and its mechanisms, in the context of the UN Human Rights Council resolution on Sri Lanka, co-sponsored by Sri Lanka and Canada. We welcome the initial steps taken by your government to implement this resolution, and we note the progress made toward constitutional reforms. In particular, we note the public commitment to the establishment of the Office of Missing Persons, and the release of some lands in militarized zones. However, much more remains to be accomplished. We encourage your government to take advantage of this momentum to move forward on other reforms, including those to strengthen good governance and economic stability. It is clear that delays in the implementation of these critical reforms are not in the public interest. Canada has much to share with Sri Lanka, including our experience on issues such as official languages, the devolution of power, sustainable economic development, empowerment of women, legal expertise and youth skills development. Canada is a diverse and inclusive society. As Prime Minister Trudeau said, Canada is strong not despite but because of its diversity, which is a source of openness, acceptance, progress and prosperity. Why should it not become true for Sri Lanka? Going forward, Canada encourages an inclusive process in Sri Lanka that welcomes the participation of all of society and advocates peaceful pluralism. Canada is committed to helping Sri Lanka further strengthen democracy and peace for all of its citizens. We note the importance of meaningful international involvement in such accountability and reconciliation mechanisms. One example of meaningful involvement is the promotion of official languages, which is critical for advancing the Government of Sri Lanka’s reconciliation efforts, and fostering an inclusive society. 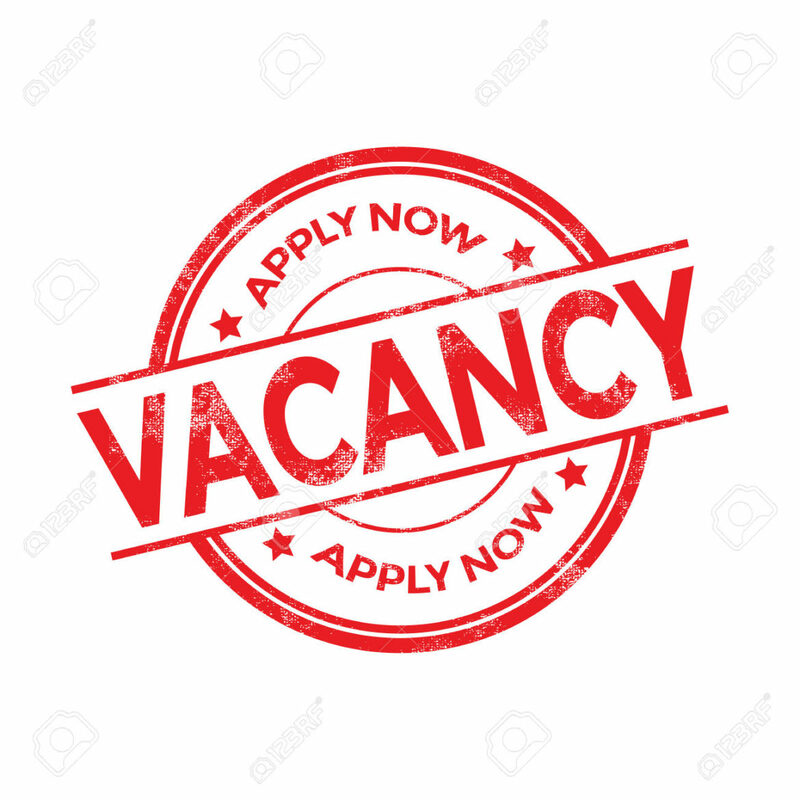 To this end, Canada is offering its support to the Government of Sri Lanka to advance the delivery of public services in both Sinhalese and Tamil. Canada's official languages journey has not always been a smooth one, but the effort and investment is worth it. There is a need to focus especially on communities most directly affected by the conflict. Canada is ready to contribute to the re-establishment of livelihood opportunities for those displaced. There is also an obvious need to invest in the new generation, the hope and future of the peoples of Sri Lanka. This is why Canada is supporting programs that train youth for jobs in high-demand sectors. Today, I announce that Canada will contribute $8.8 million over four years for the establishment of an Entrepreneur Financial Centre in your country, a project implemented by Développement International Desjardins, in partnership with SANASA Development Bank PLC. The centre will help stimulate private sector development and support job creation by improving livelihoods for entrepreneurs who operate micro, small and medium-sized enterprises. Canada will also be there if unexpected events happen in your country, like the flooding and resulting landslides in May of this year. And we are ready to assist Sri Lanka in tackling climate change, not least because of its impact on the frequency and severity of natural disasters. Canada would like to explore our trading relationship, because this is for the mutual benefit of both of our people. Partnership opportunities are on the horizon in sectors such as aviation, infrastructure, power supply, clean technology and agri-foods. Minister Samaraweera, I look forward to the discussions planned over the next two days with members of your government, representatives of civil society, beneficiaries of Canadian development projects and victims who have suffered from the civil war. I hope you can visit Canada in the near future. I know that we will have much to build on following my visit to Sri Lanka, and I’m committed to working with you to help ensure that Canada’s relationship with Sri Lanka continues to flourish in the months and years ahead. The trauma from the civil war is still profound and emotions are still raw. The reconciliation journey will be long and strewn with obstacles, but it is important to focus on the future. The long-term objective must be to respect distinct identities while working to bring them together to strengthen the whole country. In a time where apprehension between peoples is causing havoc, trust must triumph. Thank you. Merci. Obata stutiyi. Nanri.